This is the third part of a four-part series in which I reflect on my journey toward becoming one of Wesley’s people—a pastor in the United Methodist Church. You can read part one, I’m not Crazy, right here. You can check out part two, Ringside with Calvin and Wesely, right here. Having spent less than a year in Methodist circles, my more ‘conservative’ friends often ask me what stands between the Methodist church and a bright future of thriving ministry. This, of course, is a loaded question. Like the question, “Have you stopped beating your wife?” it assumes a whole lot. In some corners, the Methodist church is thriving—I happen to be in a church that is, and I happen to know of a few that are doing really well. Yet, the point remains, and it’s well-taken. When many people think of Methodists, they think of old, dying churches filled with old, dying people—and sadly, that might be true in some places. 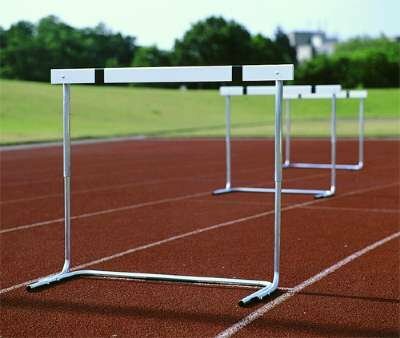 So where are the hurdles? In reality, they are the same hurdles that have tripped us up for decades—that is to say, the hurdles before us are the same as the hurdles behind us. In the face of a rapidly changing world, we turned inward. Many UMC churches represent that in their architecture: sanctuaries that look like a boat turned upside down, reminiscent of an ark that will shield us from the untamable cultural waters all around us. So we became about us, and did the things that feel like we’re being missional while never actually having to be. The second hurdle is similar but different: we lost the Gospel. This is a remarkably easy thing to do in any church; we just did it a while ago and are finally realizing that we did it. The major contribution of the Gospel Coalition movement has been the insistence on simply using the word ‘gospel’ a whole lot. Sometimes this drives me crazy—if I read another blog post that ends with ‘believe the Gospel’ I’ll scream. Yet, they have realized something key: the way we talk shapes reality, and by talking about the Gospel we become people who keep the Gospel central in our lives and our churches. I find that I’m one of the only Methodists who uses the word ‘Gospel’ with any frequency, and Gospel-centered ministry is a major part of the DNA of the new faith community I’ll be leading. What Wesley realized is this: when you lose doctrine, you lose your identity—instead of being clear about our beliefs, the UMC has taken a stance of “openness,” trying to brand itself as a “big tent” in which anybody can find a place. But the problem with that is when you aim at everything, you aim at nothing. Clarity and conviction are compelling (ooh, sorry for that preacher moment) and there isn’t anything intriguing about being open to everything. Further, we left behind the discipline when we decided that class meetings—the small groups at heart of Wesley’s vision for the Methodist movement—were no longer really necessary. Wesley was doing Gospel Communities, Life Groups, or whatever-your-church-calls-them centuries before we decided that was cool—the irony is that we got rid of class meetings right around the time when small groups grew into popularity. When we got rid of class meetings we denied our identity. Wesley also comments on the spirit of the Methodists. What is the Methodist spirit? As I’ve alluded to before, it’s the drive to seek out the least, the last, and the lost as a loving community of disciples. In this case, the Methodist spirit lives, albeit in an unexpected way. Remember, Methodism began as a fringe movement in the Church of England, and this fringe movement lives on in the Methodist Church. In my corner of the Methodsit world, that fringe movement is expressed through two weekend experiences: Walk to Emmaus and Kairos Prison Ministry. Hang around these organizations, and you’ll find the Methodist spirit lives on in ministries that seek to make disciples who live in community, serving the world together. Our ability to become a vital church again rises and falls on our ability to get clear about the Gospel, be others-focused, and return to the doctrines, the spirit, and disciplines Wesley gave to us. It’s a hard road, but in the next—and final—post of this series, I’ll address what opportunities lie before us if we get back on the horse. So, Wesley’s movement lives, but maybe not in the way you’d think. What obstacles do you see before the UMC—and how do you think we need to navigate them?